Several iPhone 4S users who updated to Apple’s latest iOS update are finding that their phone refuses to recognise contact names when calls or text messages come in, according to a report by The Startup Foundry. 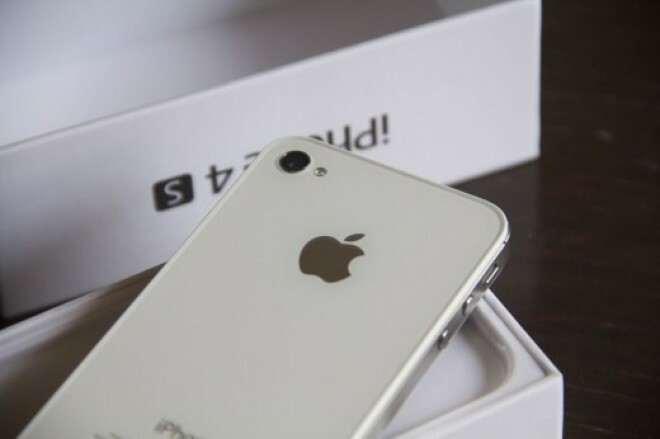 The author of that post, Paul Hontz, found that his iPhone 4S began suffering from memory losses after being updated to iOS 5.0.1. The contacts are all there in the address book but he’d be greeted with the callers’ phone numbers when making or receiving calls and in the Messages app. A quick survey on Twitter had his followers reporting similar experiences. Another complaint we are hearing is about the battery life, which is what the update primarily claimed to fix in the first place—the first bullet point in the release notes was “fixes bugs affecting battery life”. Yet, as 9to5Mac notes, the Apple Support Communities are chock full of users voicing their complaints about the iOS 5.0.1 having done nothing to improve their iPhone 4S’ battery life. In a cruel twist of fate, some commenters on 9to5Mac’s piece are reporting battery life problems after the update, where there were none before. We skimmed through several pages of posts on Apple’s forums and did not find a single post saying that the update has actually improved battery life. Some helpful commenters have suggested that iPhone 4S users drain and recharge their phones to reset the charging cycle and then see what it’s like, but others who claim to have done that report seeing no improvement either. All of this is circumstantial evidence and is likely to be coloured by imprecise personal judgment and impatience, but with so many users complaining, it seems that Apple has a problem on its hands. With both the address book issue and the persistent battery life problems, it might be a good idea for iPhone 4S users still on iOS 5.0 to postpone updating to iOS 5.0.1 just yet—maybe even till iOS 5.0.2 comes out. 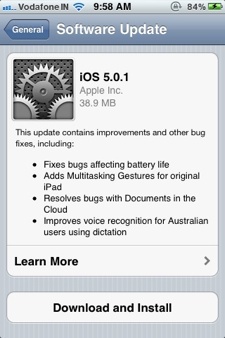 If you have updated to iOS 5.0.1 already, we’d like to hear how it turned out for you in the comments below.